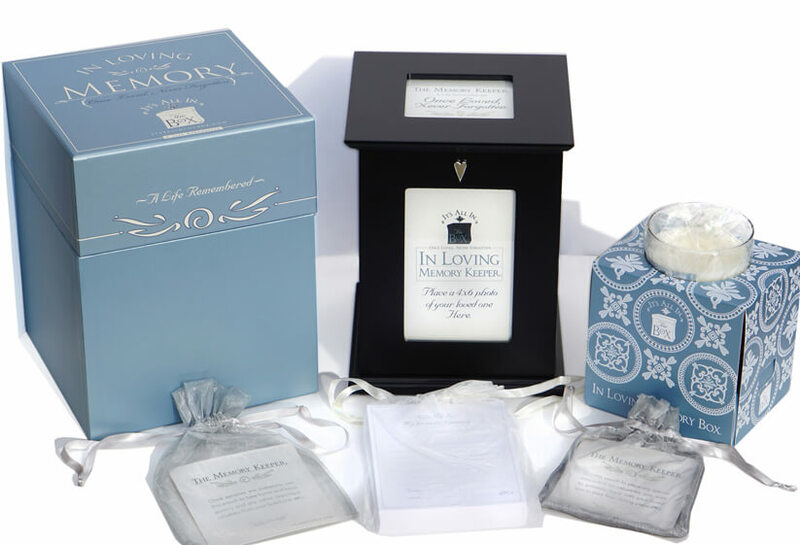 The In Loving Memory Box® is a simple idea. 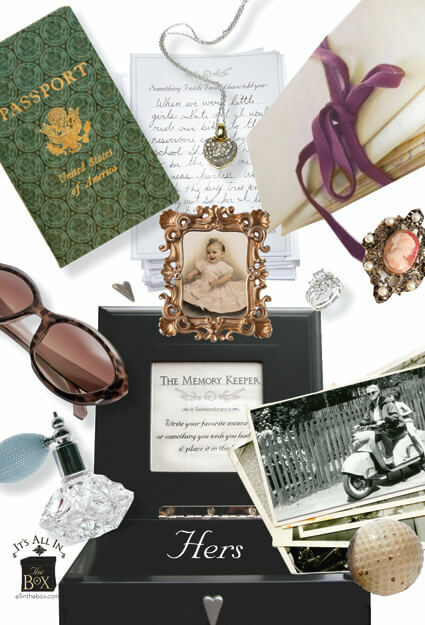 An elegant photo frame box, stationery, a candle, and two valuables pouches. 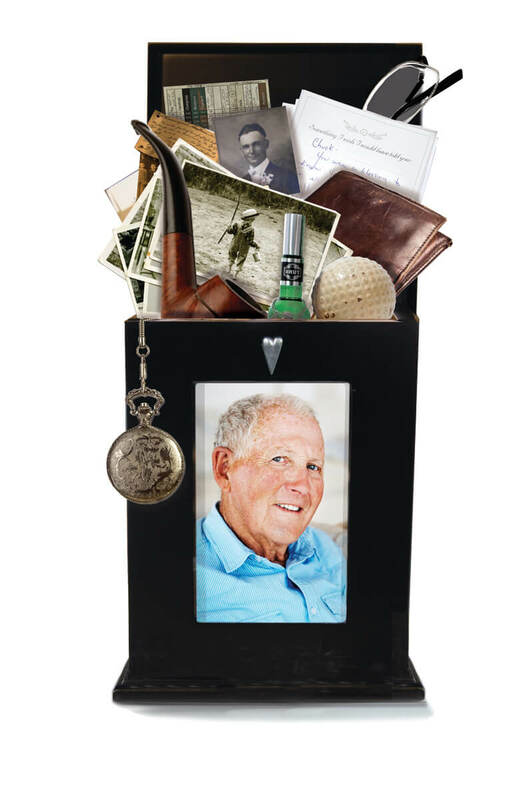 It is designed to be everything necessary to encourage friends and family to participate in sharing their most precious memories of a loved one at the service and related gatherings. 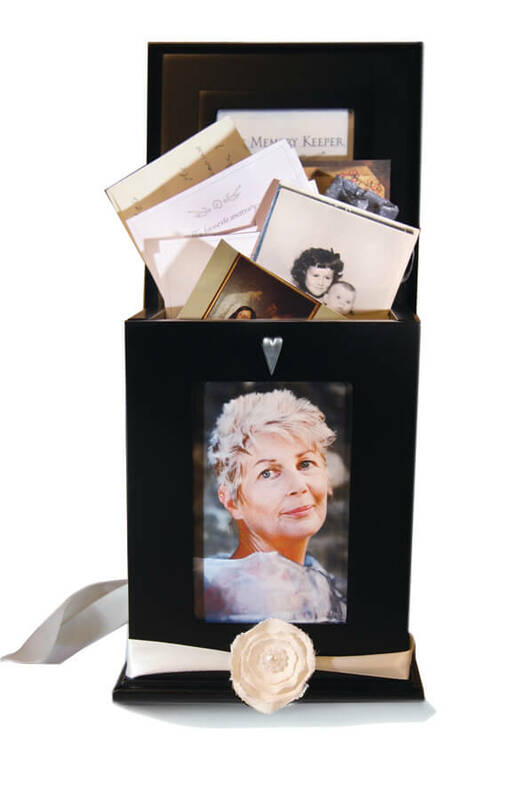 The perfect size for a library shelf – It is a place the family will keep memories, stories, photographs, sentiments, a printout of the online condolences and more. 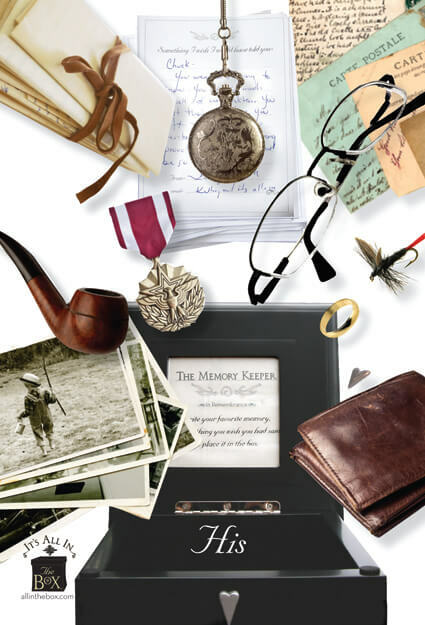 The Memory Keeper® – A beautiful lidded box. 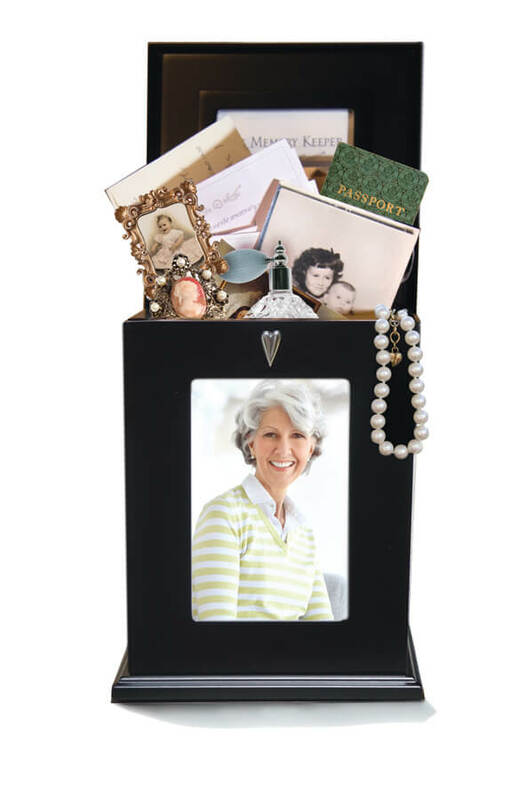 Front 4×6 front photo frame, 3 x 3 photo frame in lid. 100 archival quality stationery sheets. Organza Pouch for jewelry or other valuables. Organza/Velvet Pouch for any special mementos to be privately left with loved one in their final resting place. Presentation Gift Box to store larger items once the contents are unpacked.